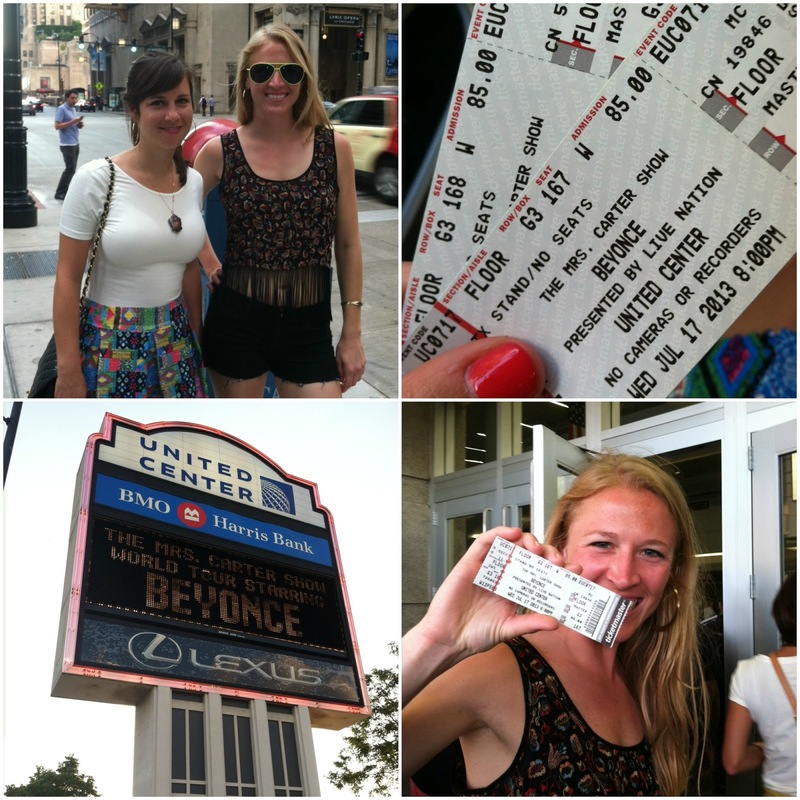 Jules, Me, and Mrs. Obama attended the Beyoncé concert last night. We didn't sit with Mrs. Obama or anything but she and her toned arms were there! Luke James opened for Bey and he sorta sucked. If I had to describe him it two words I would use "sexual chocolate". He sang really sexual ballads and was stripping. Very strange. 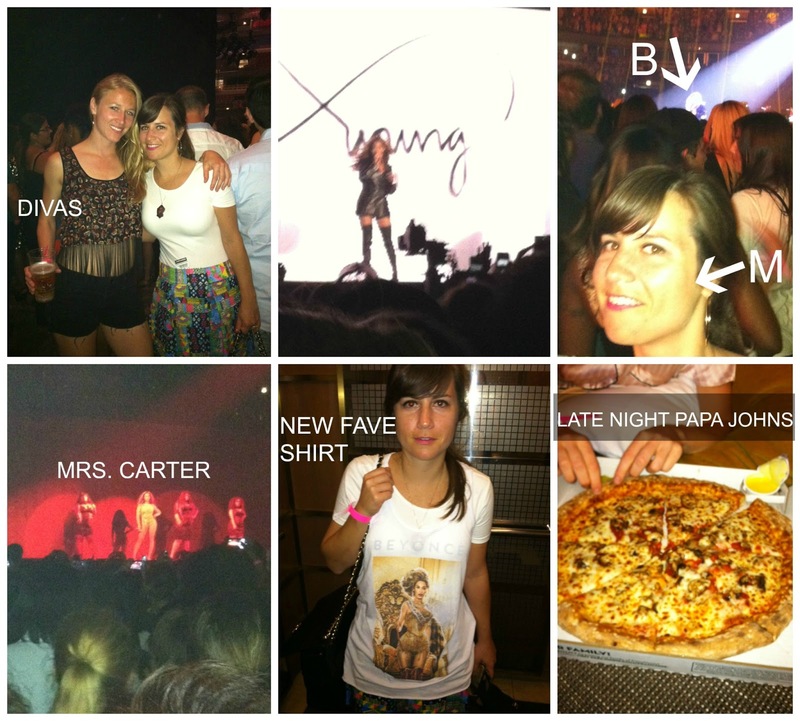 Mrs. Carter however was what you'd expect from her; a star. We were on the floor and I couldn't believe the close proximity between her and I. Here are some pics and videos from the night! *To read my previous post about Beyoncé, click here! Love your outfit Meg. You could have hit up a better late night pizza spot while in Chicago. Disappointed. INSANE! She was supposedly fantastic in H town as well, so jealous! !